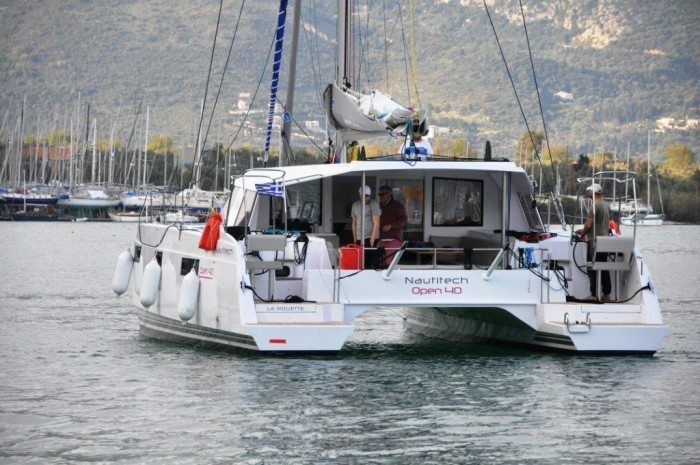 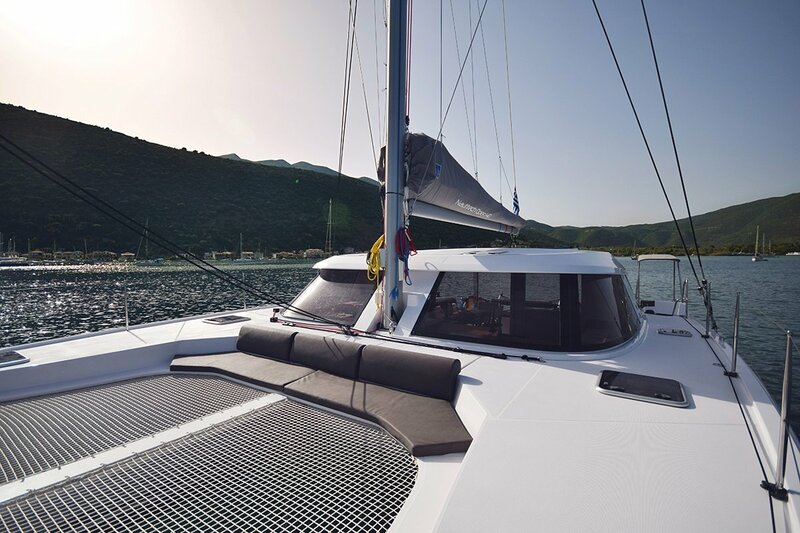 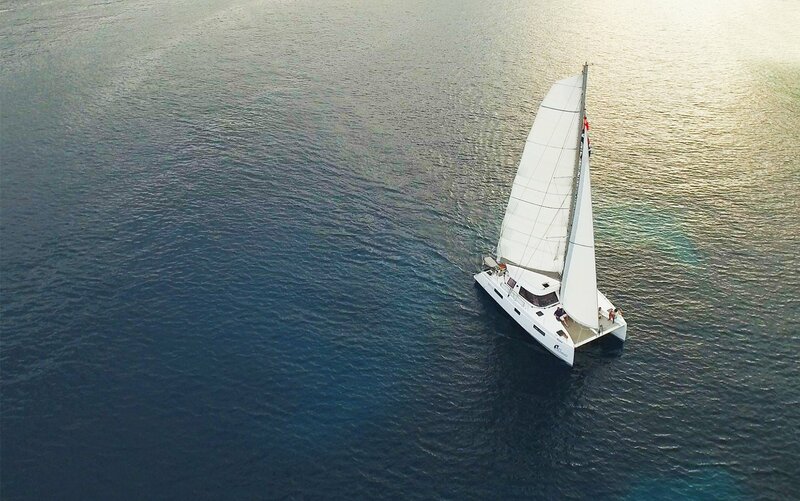 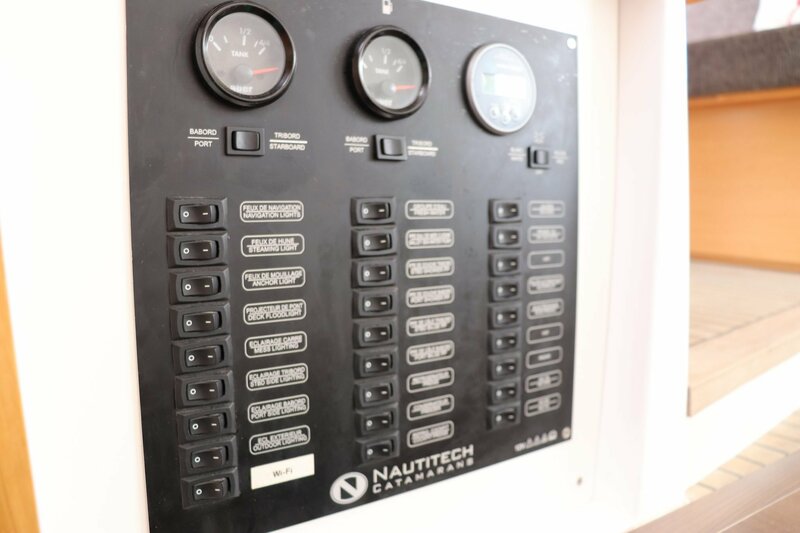 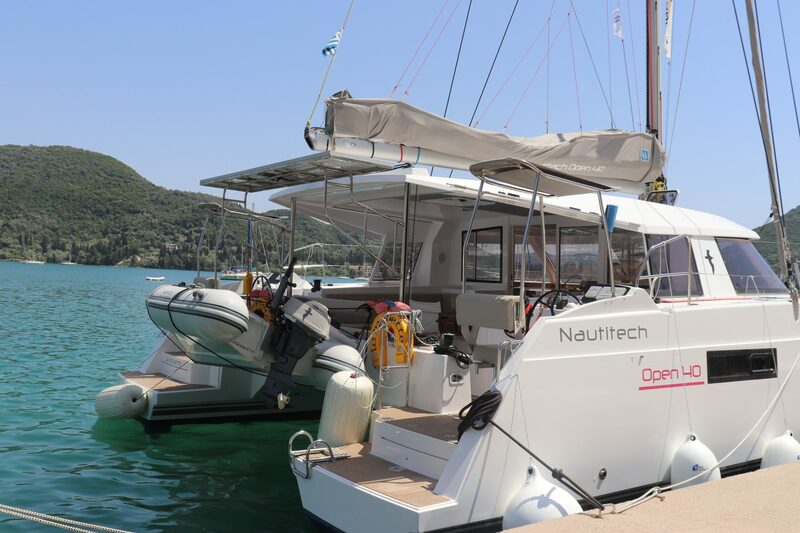 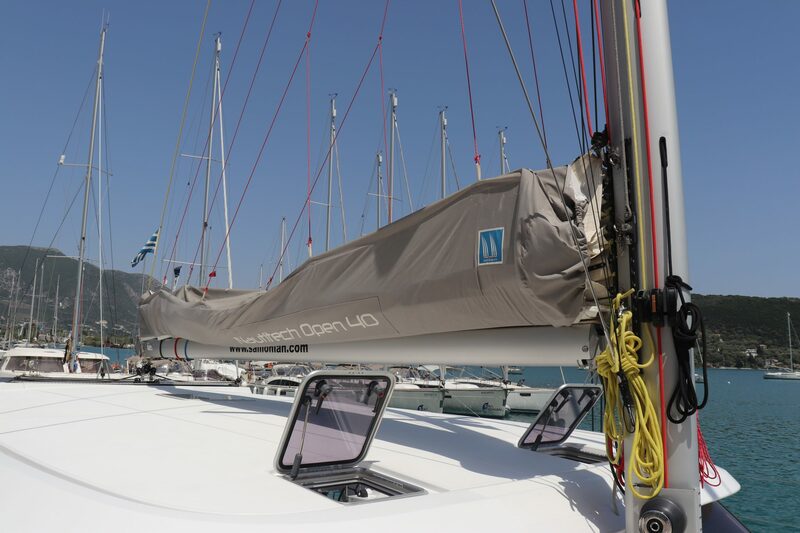 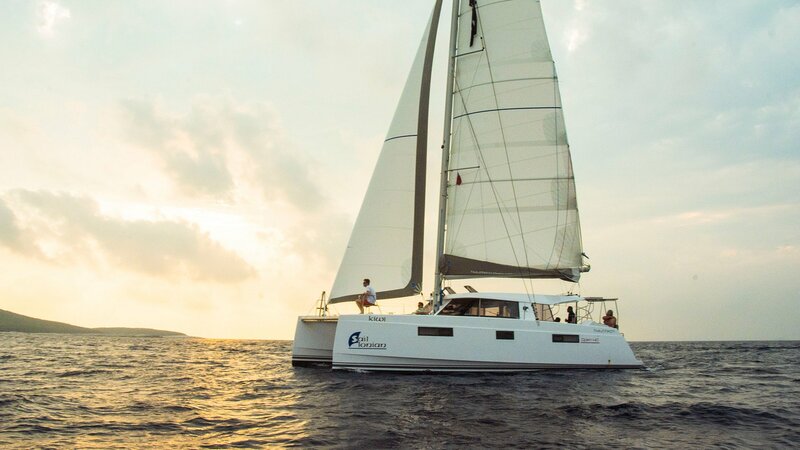 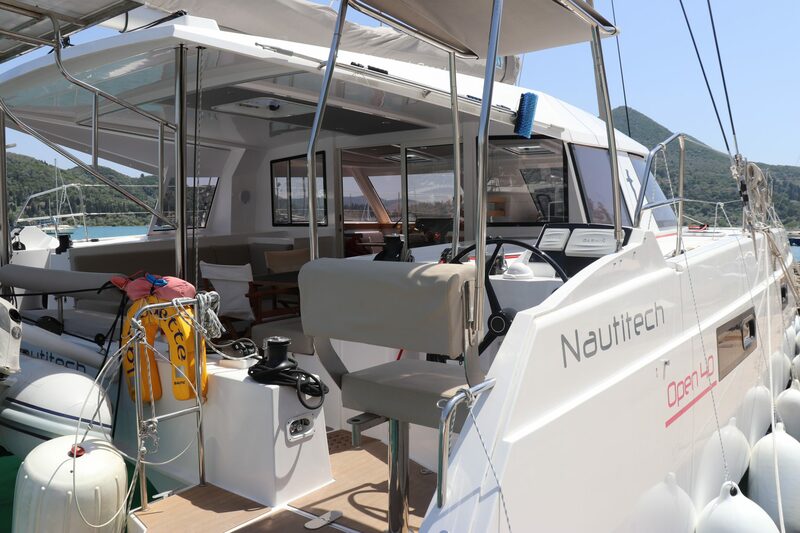 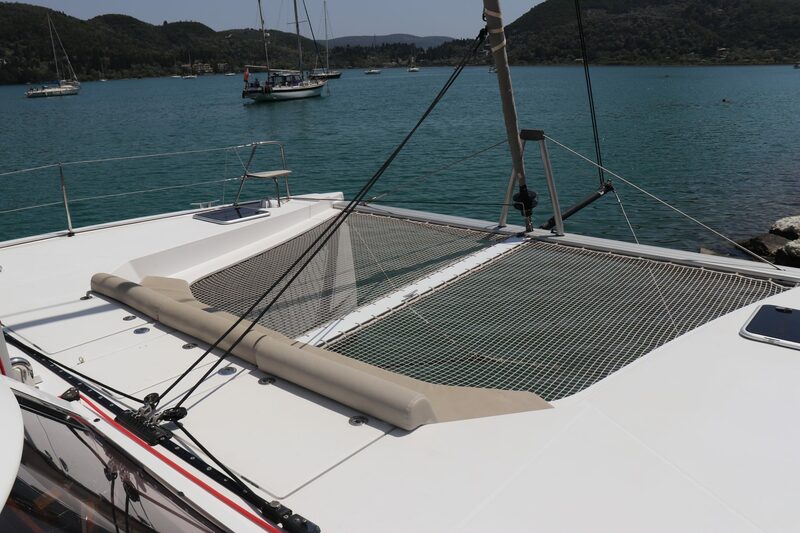 The Nautitech Open 40 Catamaran is an innovative, modern and fast sailing yacht. 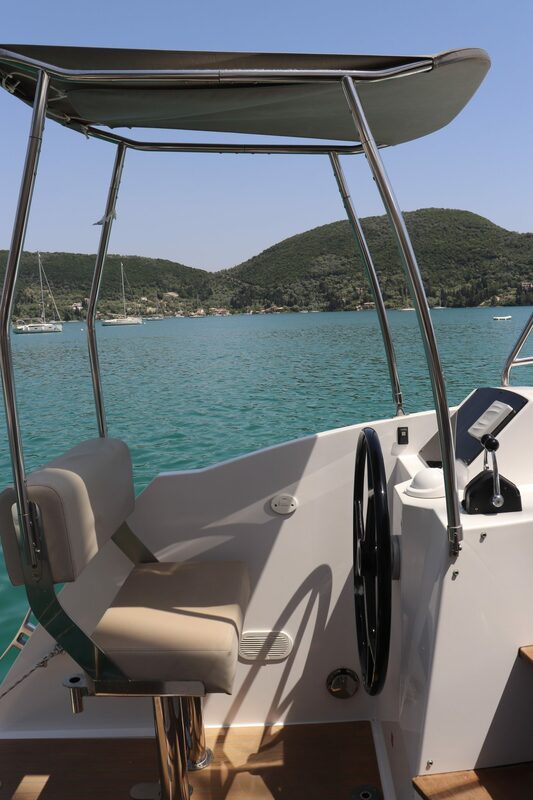 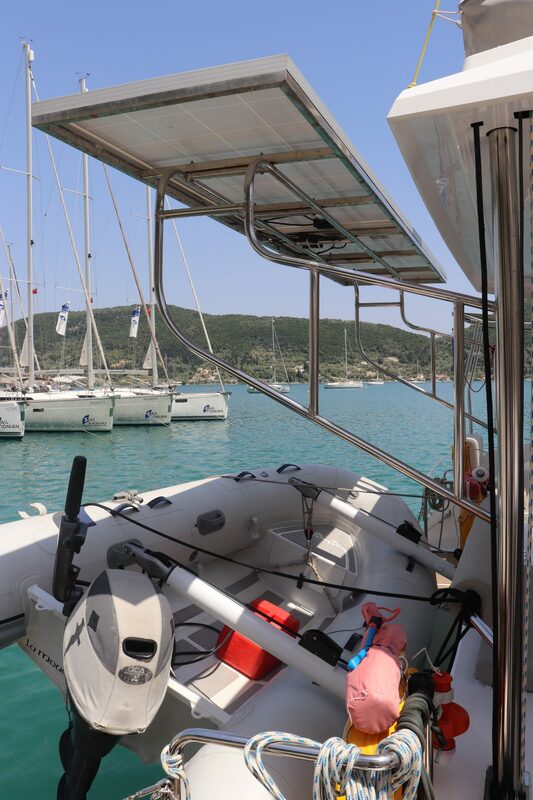 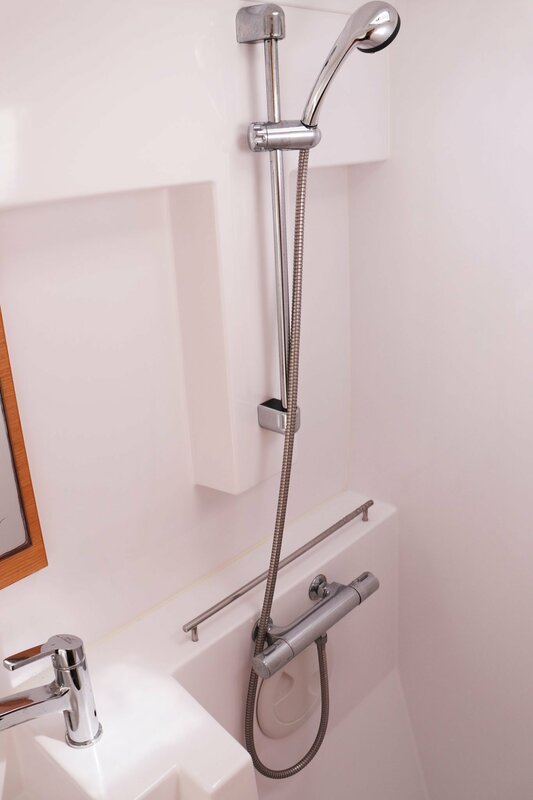 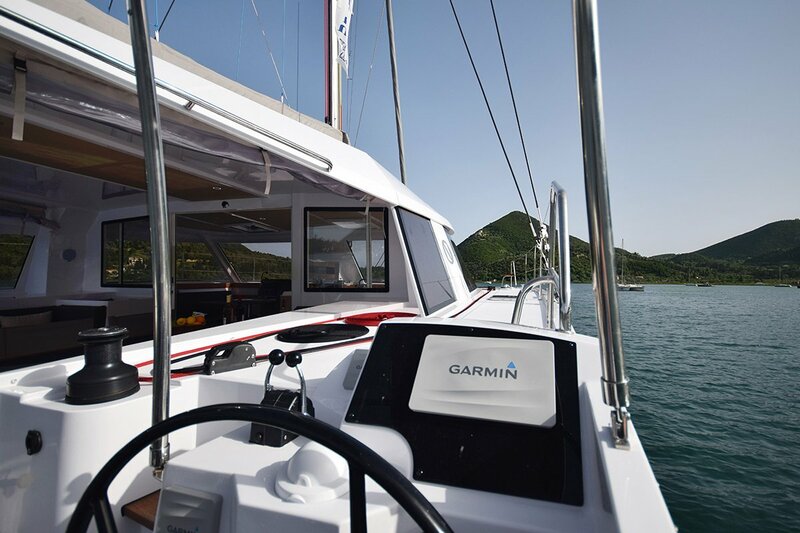 It is stable and powerful with 2 engines and the 2 steering positions port and starboard provide exceptional visibility. 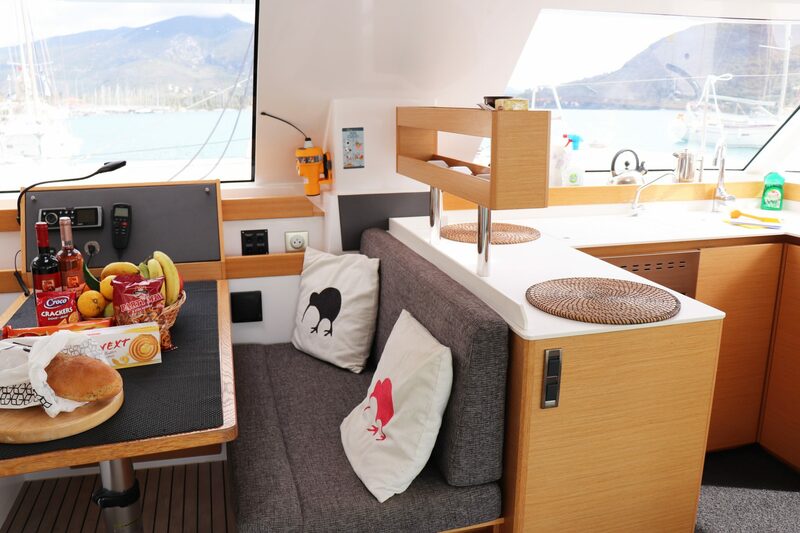 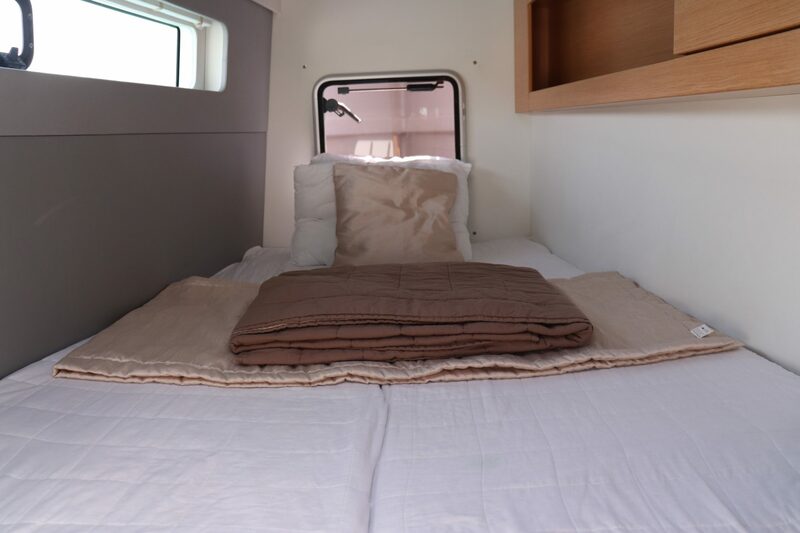 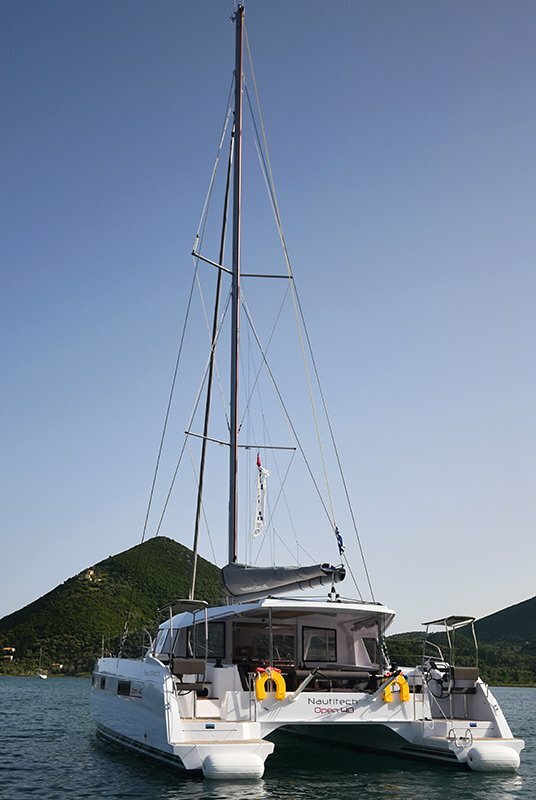 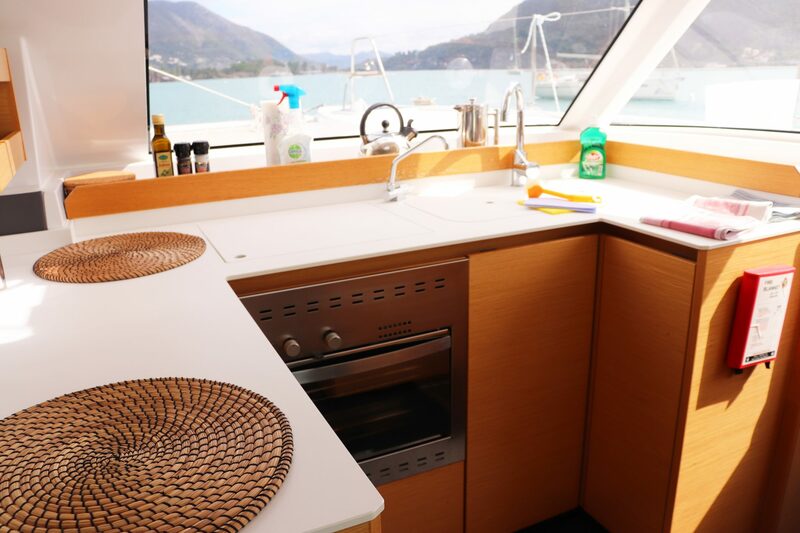 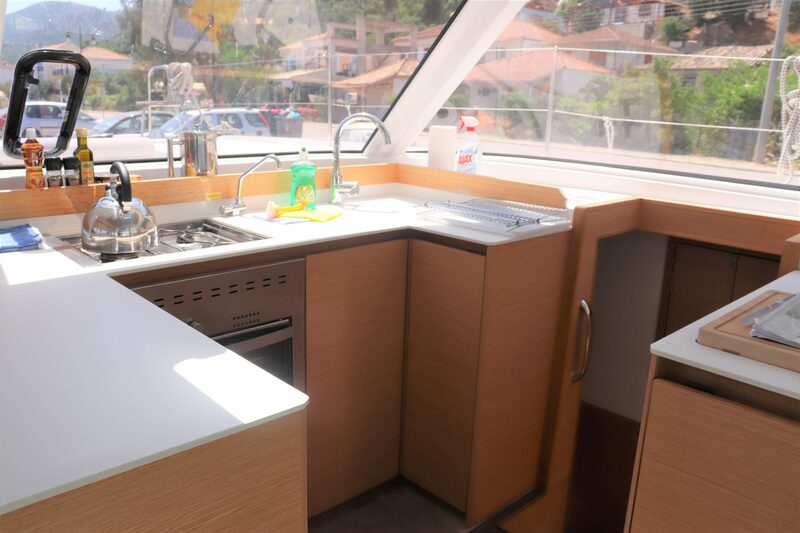 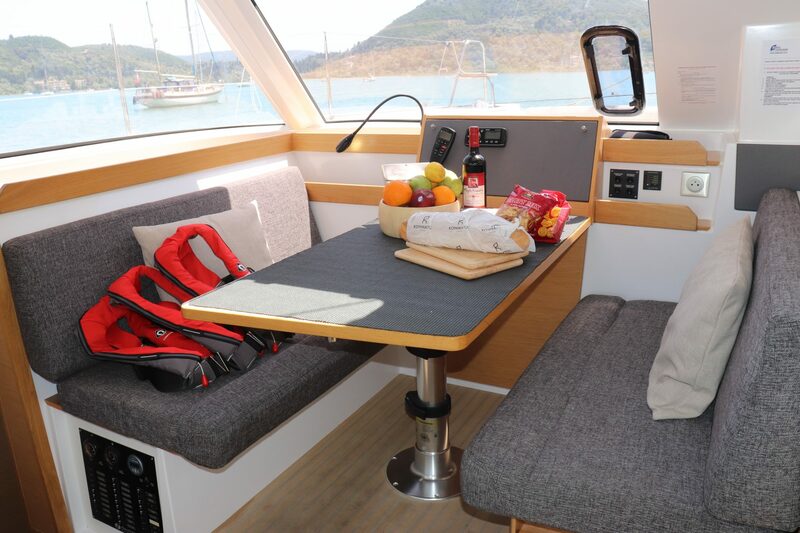 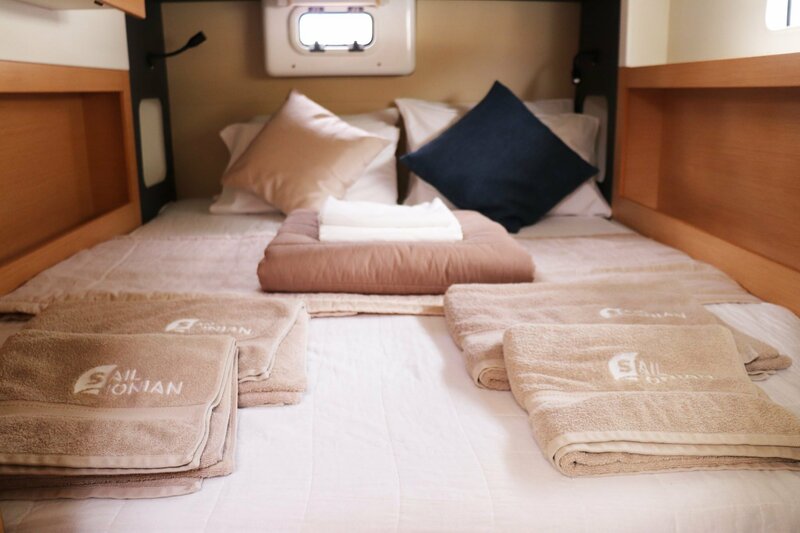 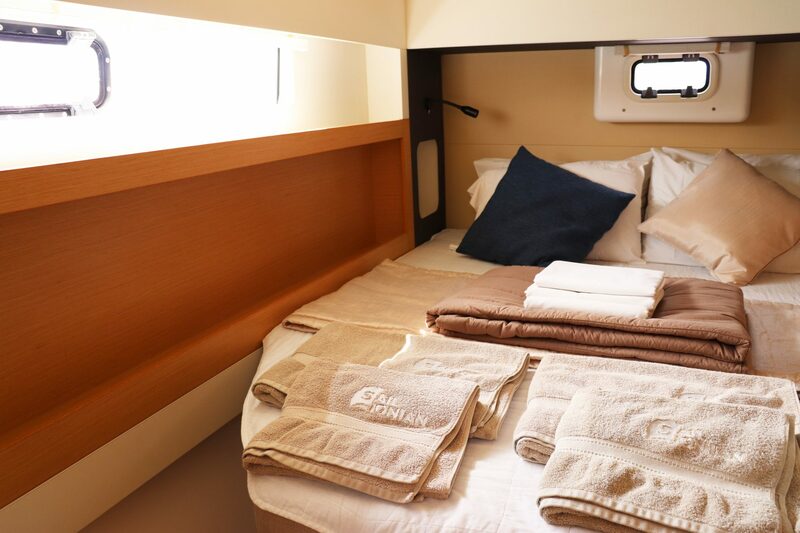 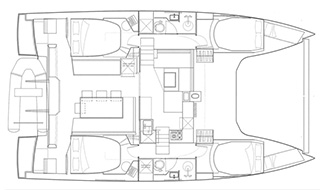 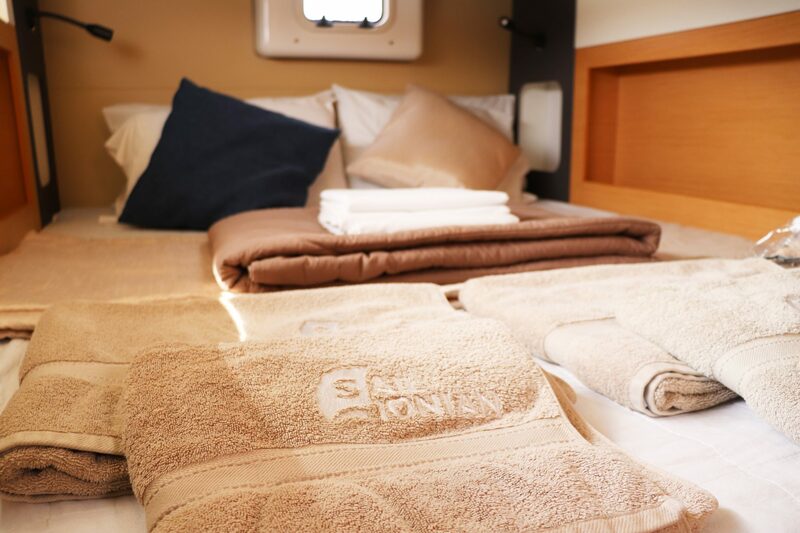 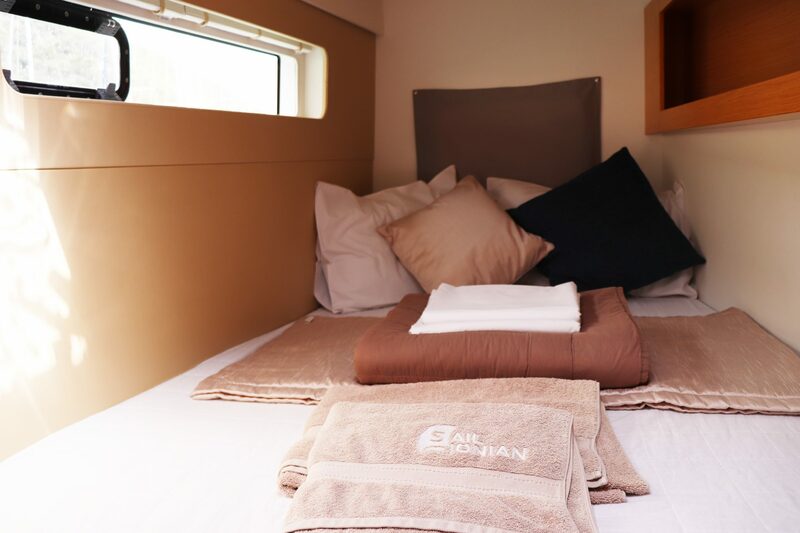 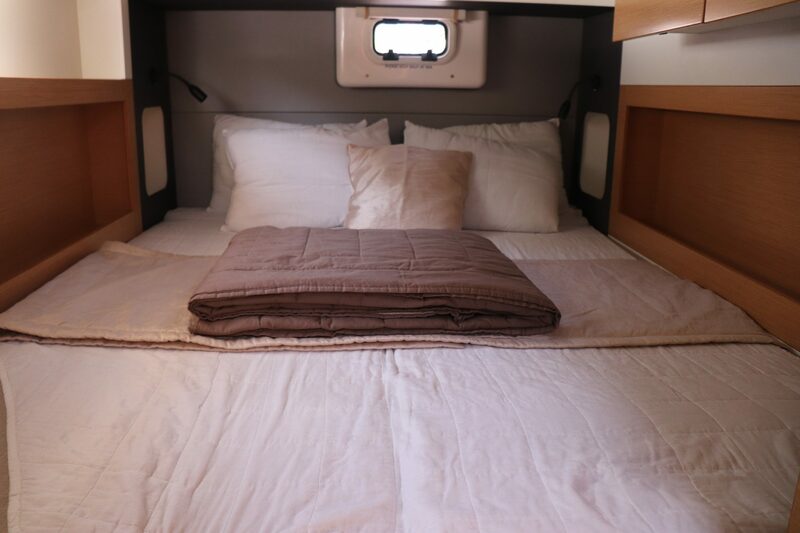 Bags of accommodation space and a massive light open cockpit, lounge and deck saloon area make this an ideal outdoor living yacht with ample sun and shade areas. 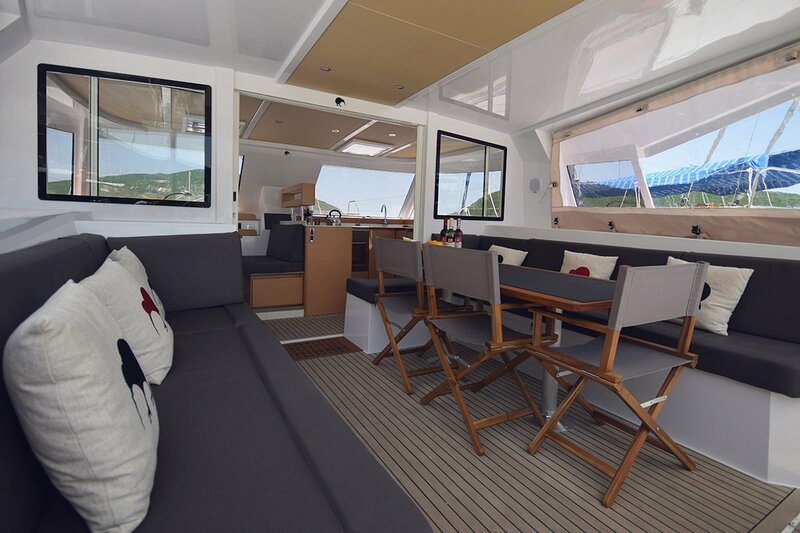 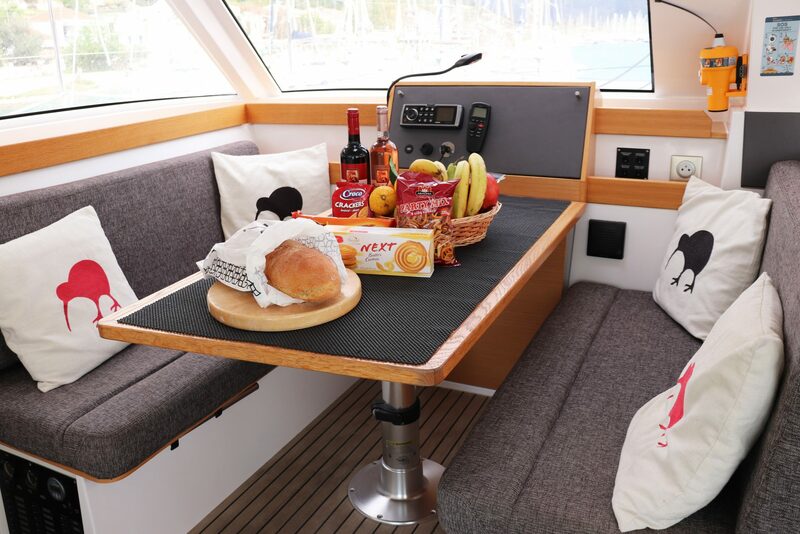 This design is a perfect place to enjoy food and drinks at any time with family and friends for a skippered charter or bareboat charter.